Twelve Hours Later – Welcome! Are you excited about Twelve Hours Later? Send us your comments here or connect with us on Facebook or Twitter. Sign up for our mailing list to receive updates about Twelve Hours Later and other offerings from Thinking Ink Press. Support public libraries and explore a world of steampunk fiction! Twelve Hours Later, 24 Tales of Myth and Mystery will thrill you with round-the-world and round-the-clock action and adventure, weaving lore from ancient Egypt, Greece, Japan, and more into a steampunk tapestry! 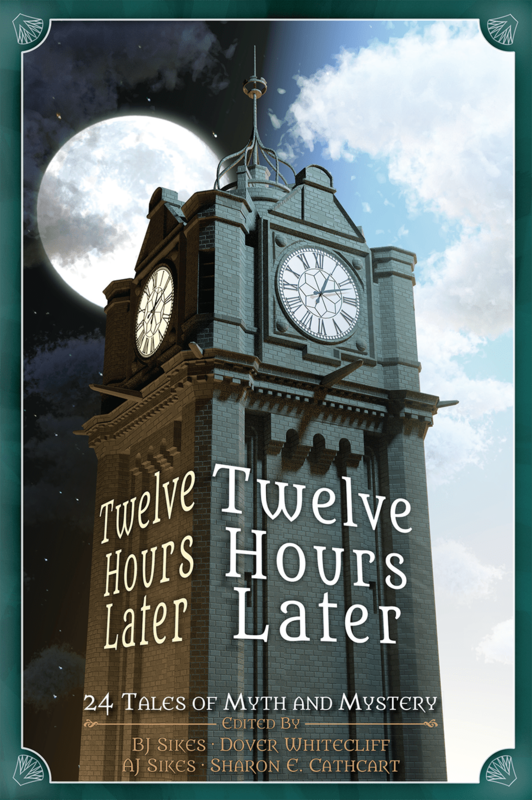 Twelve Hours Later is the brainchild of the Treehouse Writers, fifteen talented authors, artists, and poets who came together to create this must-read steampunk anthology. Each author contributed two stories, set 12 hours apart, filling a 24-hour day with a whirlwind of steam, legends, spycraft, and the occasional forest demon! Half the proceeds are donated to public libraries, so as you indulge your literary senses, you’re also helping to promote literacy, one sensational story at a time. So tune in and find out happens … Twelve Hours Later!